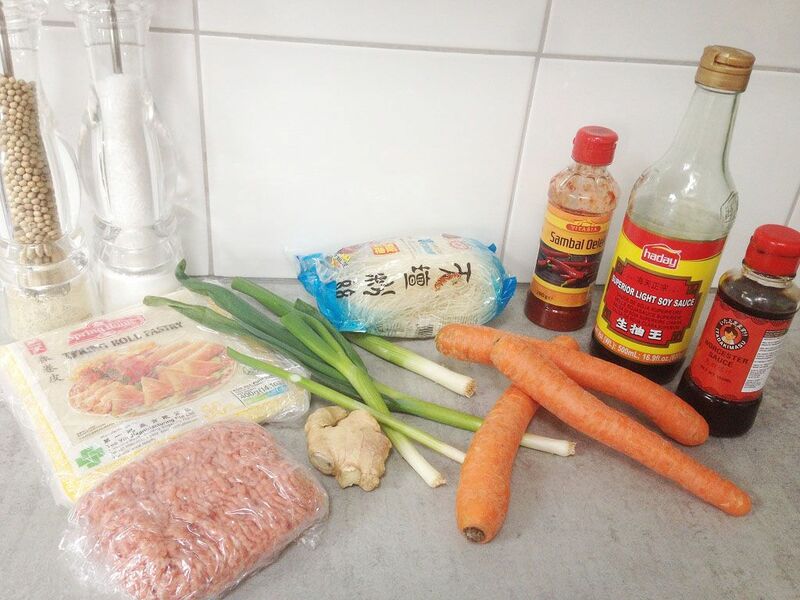 Easy and cheap lumpia recipe, filled with minced meat, carrots and more. Ready in about half an hour and served as a snack or side dish. CUT the spring onions in thin slices, peel and grate the carrots and also grate the ginger root. HEAT a little olive oil in a large skillet and start with the minced meat until it’s golden brown. Add the grated carrots to the skillet and cook those a few minutes more. Add the sliced spring onion and grated ginger root. Season with pepper, salt, soy sauce, sambal and Worcestershire sauce and set aside. FILL a bowl with the glass noodles and boiled water and cover the bowl with cling film. After a few minutes the noodles will be transparent en soft. Rinse them with cold water and drain them in a colander. Add the noodles to the minced meat mixture and let it cool off completely. When the filling has cooled off completely, you’re ready to roll! 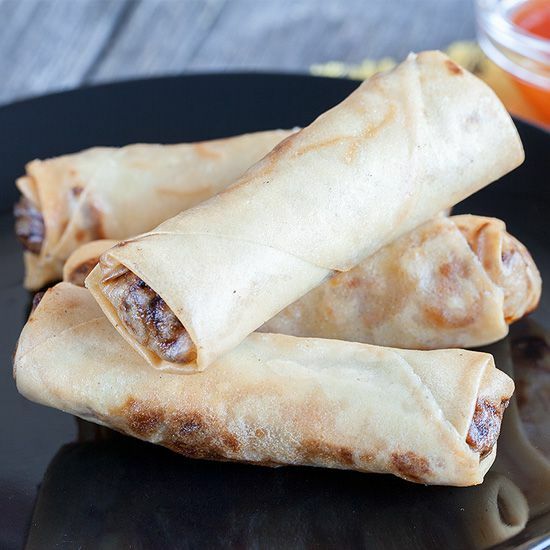 PLACE a spring roll wrapper on your work surface, one side pointing upwards. PLACE a little bit of the filling on top of the spring roll wrapper, fold it inwards and use a little bit of water to stick it together. ADD frying oil to your frying pan and heat it to 180 degrees celsius or 350 degrees fahrenheit. 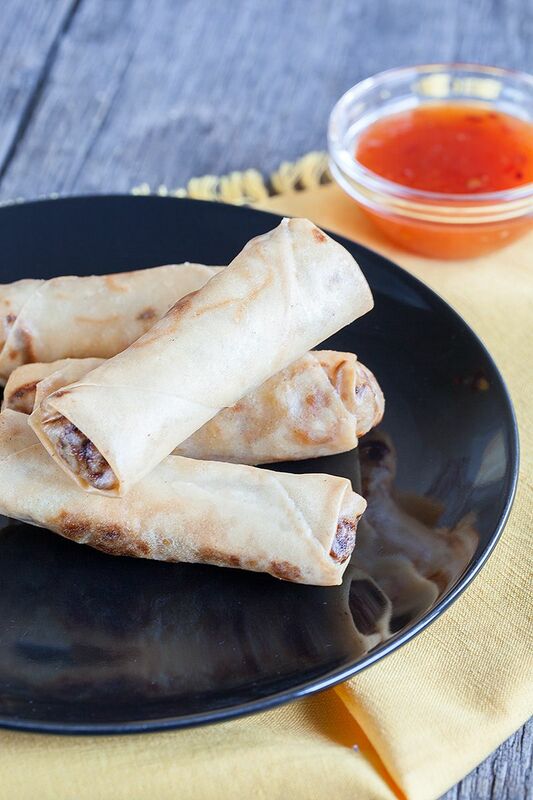 Fry the lumpia until they are golden brown, that will take about 3 to 4 minutes. 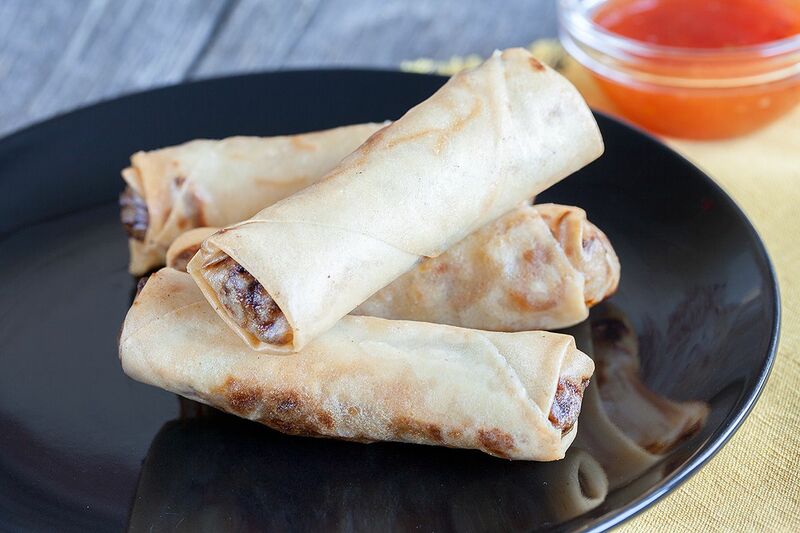 Pay attention to not overcrowd your pan while frying these lumpia.